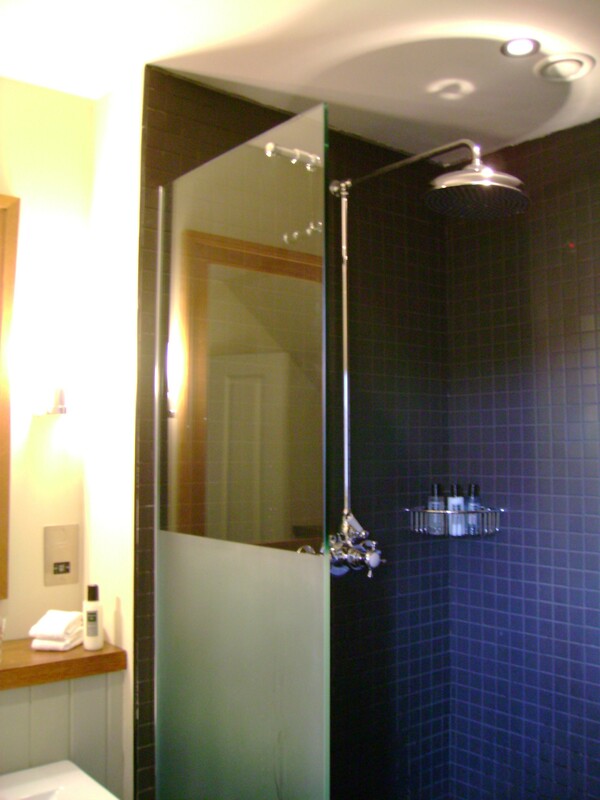 Our stylish glass screens and doors give a spacious feel to even the smallest bathroom. 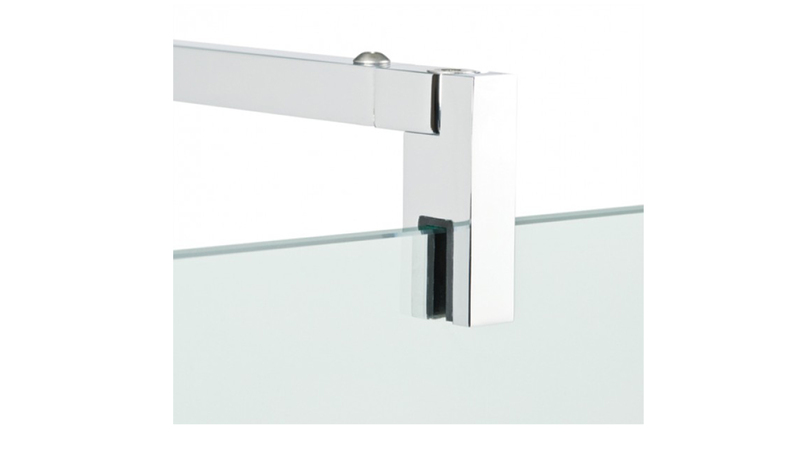 Constructed from toughened safety glass, they are robust, hygienic and are easy to maintain. 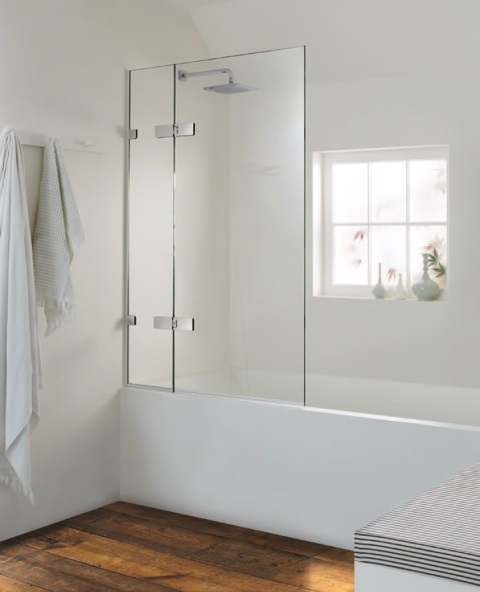 Wet rooms have become very popular in the last few years. 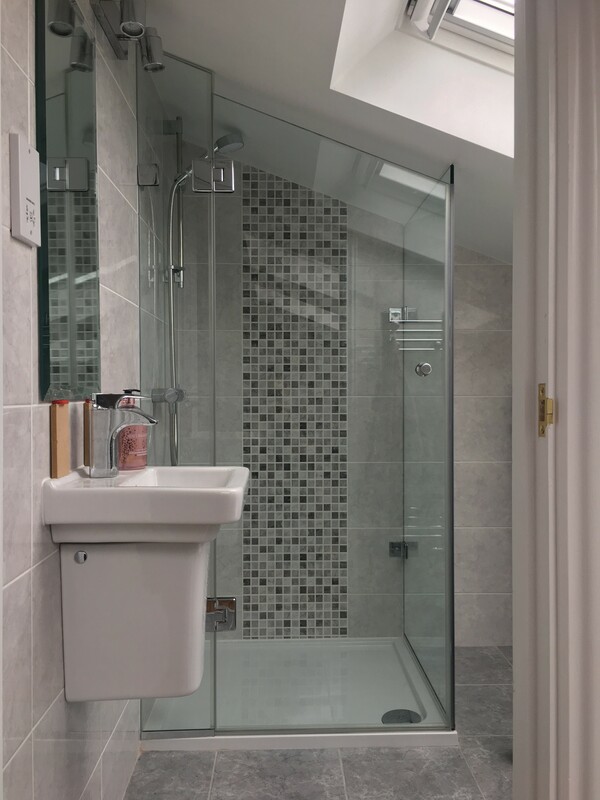 For those who have the space, the traditional shower door and shower tray can be dispensed with in favour of a single, wide glass panel, often secured in a concealed profile. 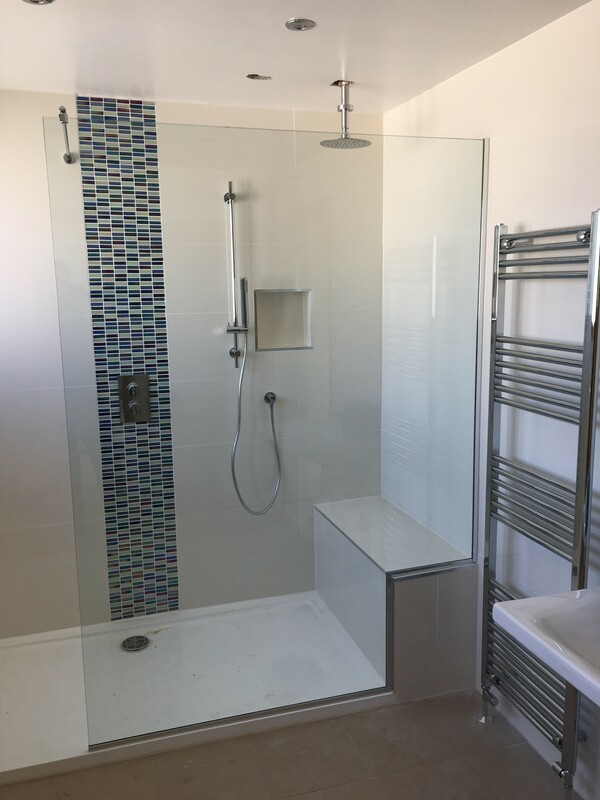 Creating a ‘walk in’ shower using a single panel of safety glass, is both a stylish and practical solution to you bathroom re-design. 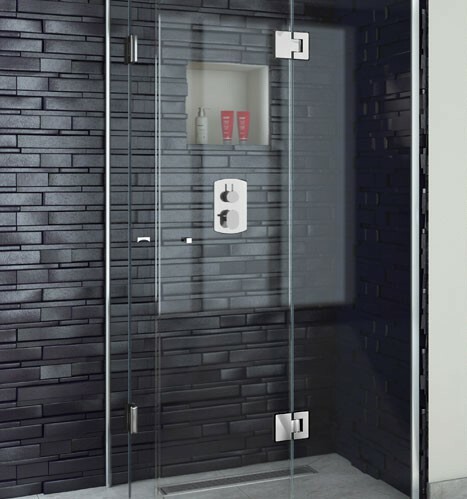 The hinged panel is the most common frameless glass shower system, with the option of a door hinged from the wall or fixed glass panel, secured to your shower tray. 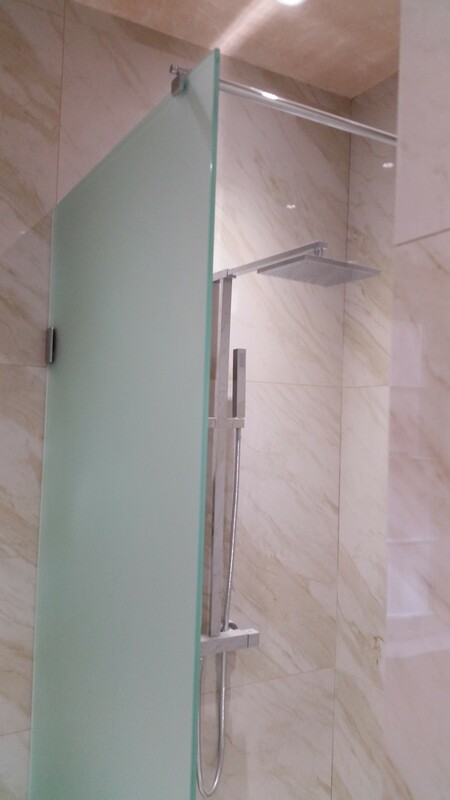 Where there is restricted room to open a conventional shower door, a sliding screen can be a good option, maximizing the useable space inside and outside of the cubicle. 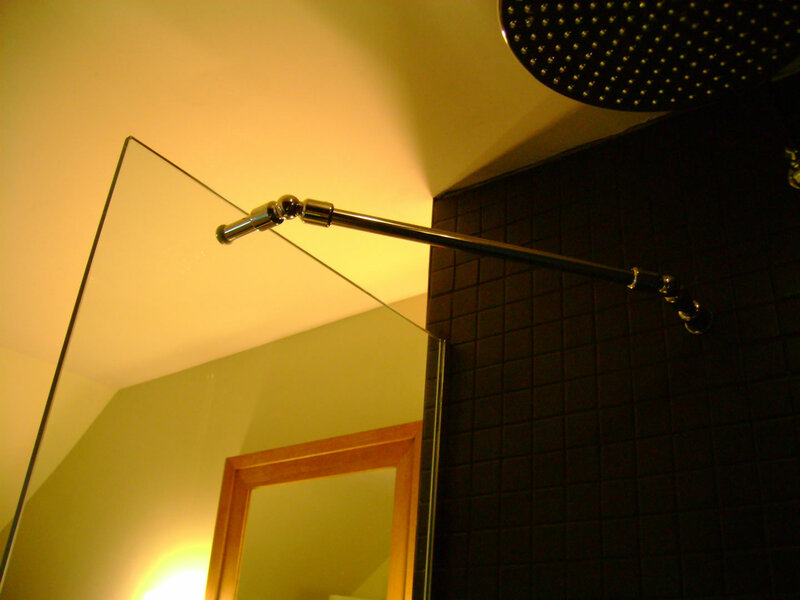 Our toughened glass bath screens are an elegant alternative to a shower curtain, easy to install and give years of use. 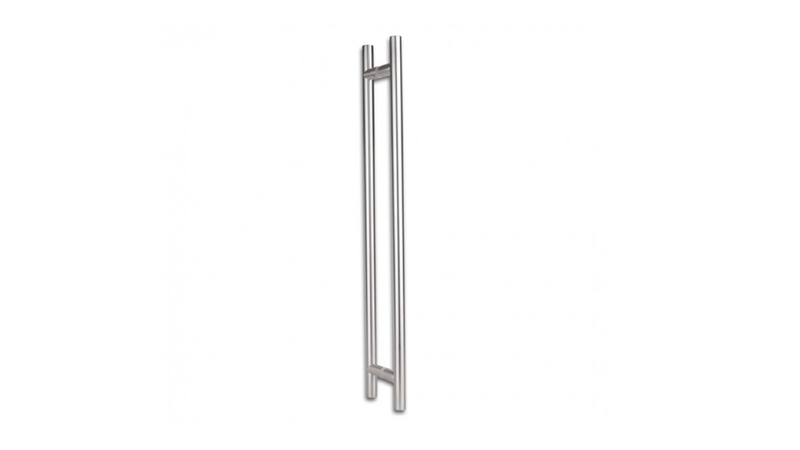 Available in one or two panels arrangement, these screens are the perfect solution for a power shower, install over a bath. 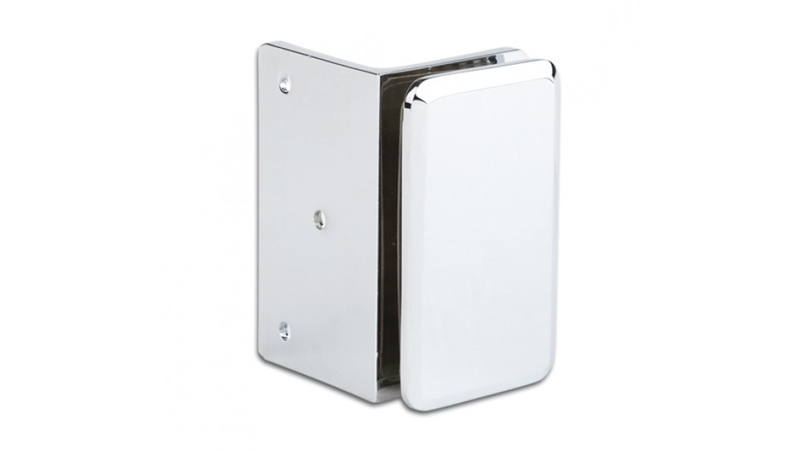 Chrome plated and stainless steel finish hinges, suitable for 6mm, 8mm and 10mm glass and designed to suit the modern bathroom. 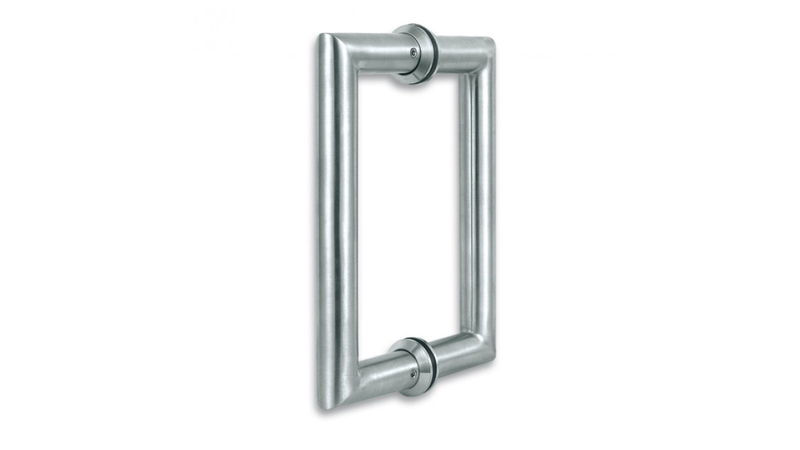 The hinges have an automatic return motion of ± 15° to zero position. 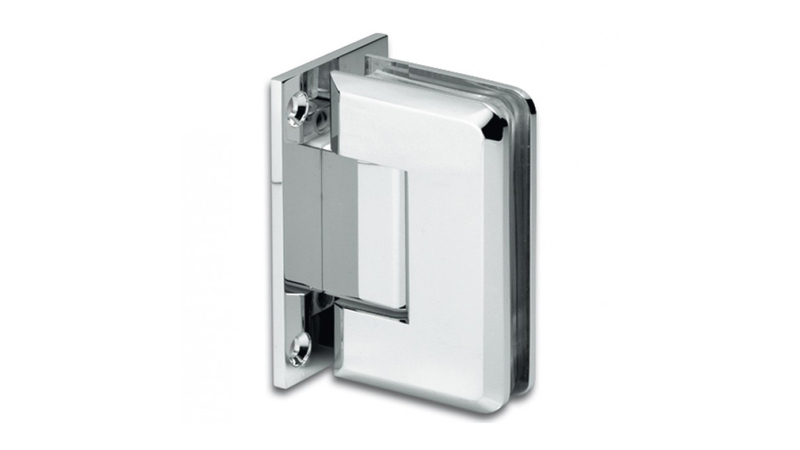 Outside this automatic return range, the hinges remain in any set position. 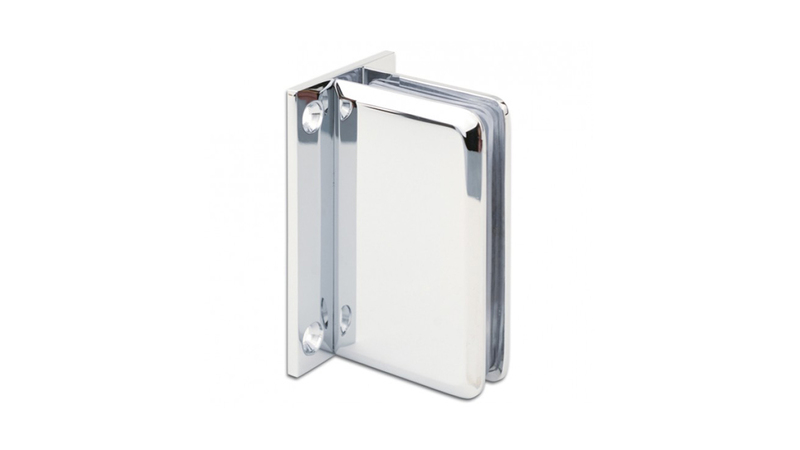 Please note that full height doors exceeding 900mm (to comply with DDA regulation for example), require three hinges. 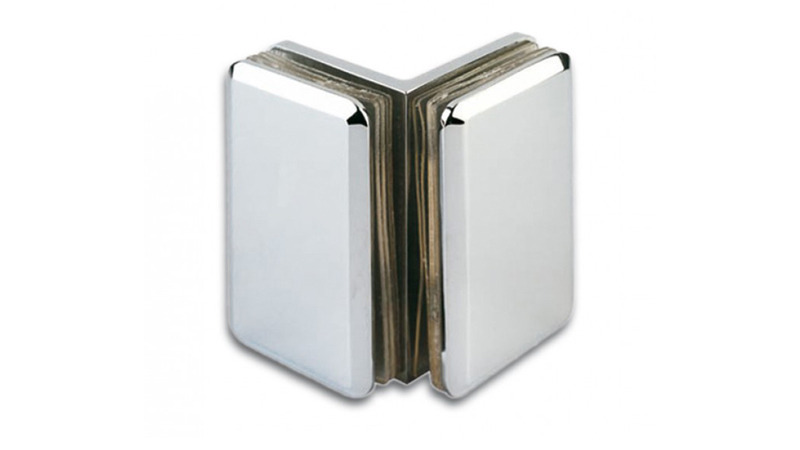 Our standard shower door handles come in a small, medium and large size, in a stainless steel matt-polished finish. 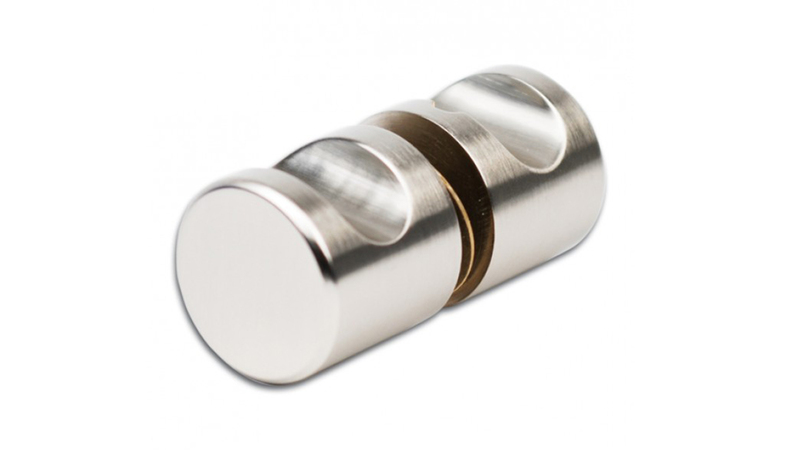 If you prefer to have a door knob, we offer chrome and glass alternatives. 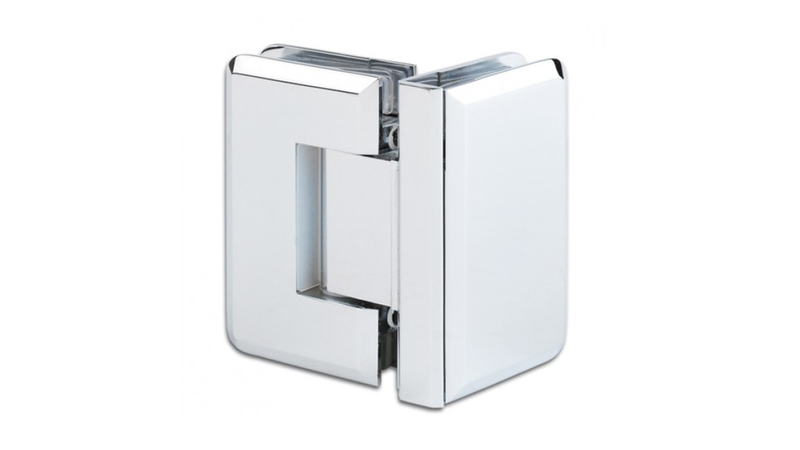 Chrome plated and stainless steel finish glass clamps, suitable for 6mm, 8mm and 10mm glass and designed to suit the modern bathroom. 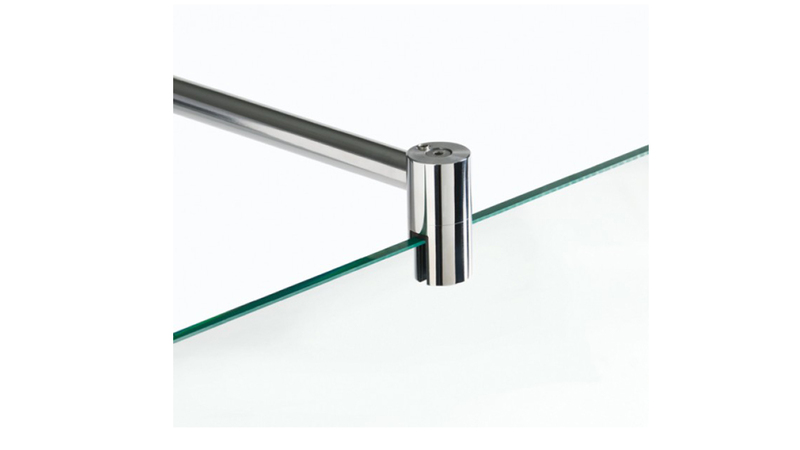 When fixed panels require support where there is none, a stabiliser bar can be used to brace the glass from the closest wall. 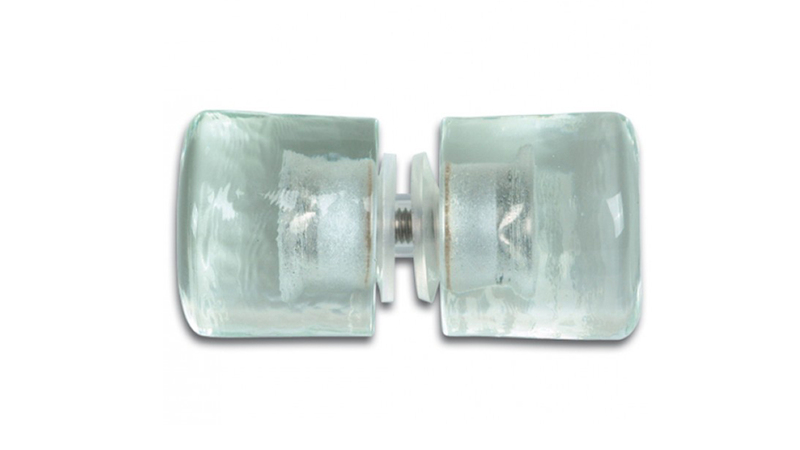 Our clear glass is manufactured to the highest standards by the leading global glass suppliers. 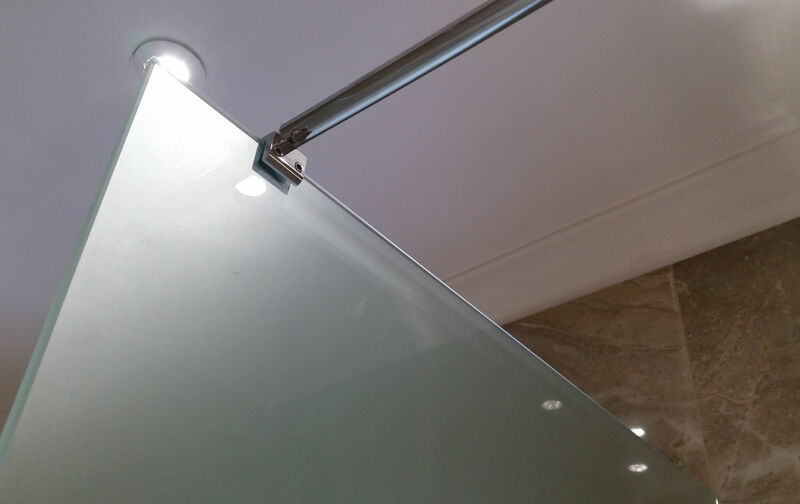 Where details matter, our panels can be manufactured in ‘Low-Iron’ glass, where the reduced iron content effectively removes most of the green tint visible in most panels. 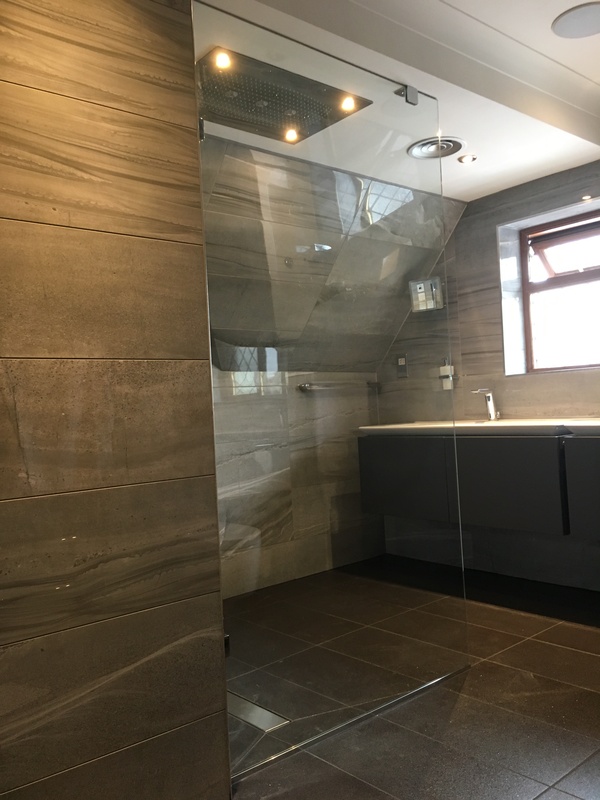 For an extra level of privacy, Satin glass panels give a soft, frost finish to the outer face of the screen, obscuring the inside of the shower. 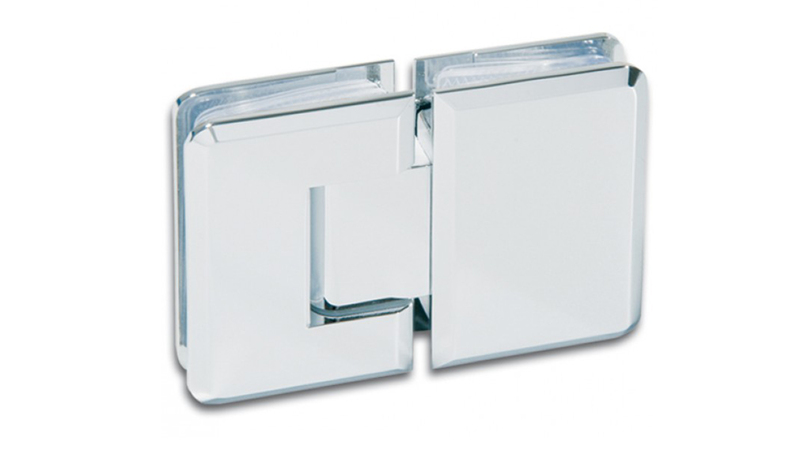 If you want a combination of the two, that’s ok as well. 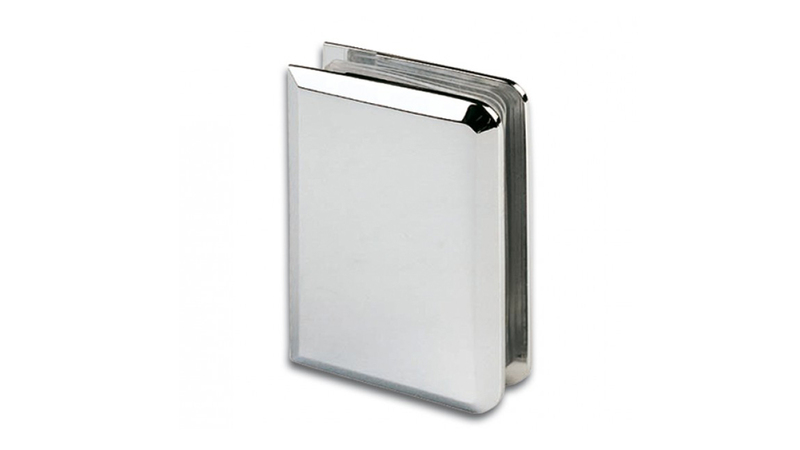 We can produce safety glass panels with a satin finish to your preferred height. For larger, more complex structures, we find that meeting on-site takes guesswork out of the project. 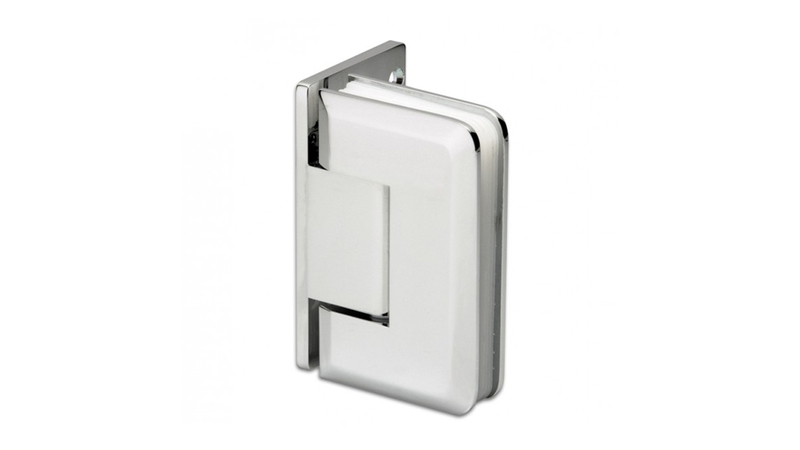 It also ensures quotes can be supplied based on accurate measurements.